Looking out the hotel window is not one of the prettiest scenes I have ever viewed. 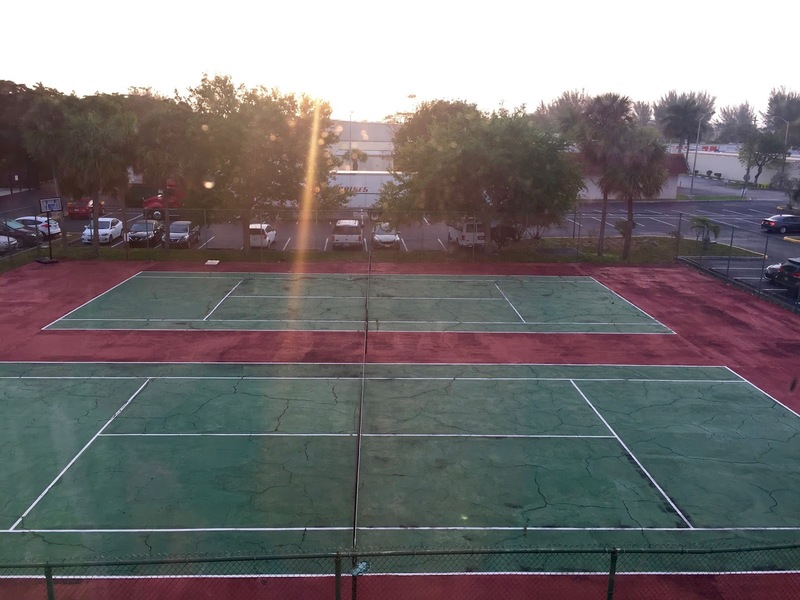 The tennis courts seem unused in a long time. There are no palm trees in the view but there is a great deal of green. 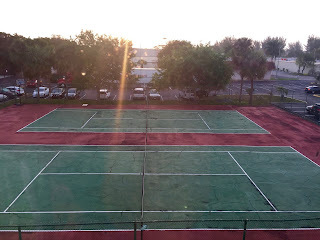 I guess having a room on the backside of the hotel means that I don't have the best view. 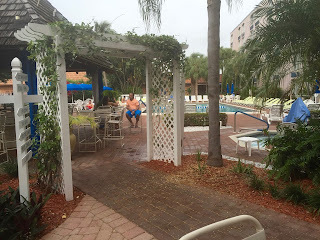 But, in defense of the hotel, there is a very pretty and comfortable pool area that has a tiki bar and a hot tub. The area is very popular and last evening when Chris and I went to enjoy the evening there, it was very crowded and loud. There were many kids in the nearby pool which made the Tiki bar a less than enjoyable experience. 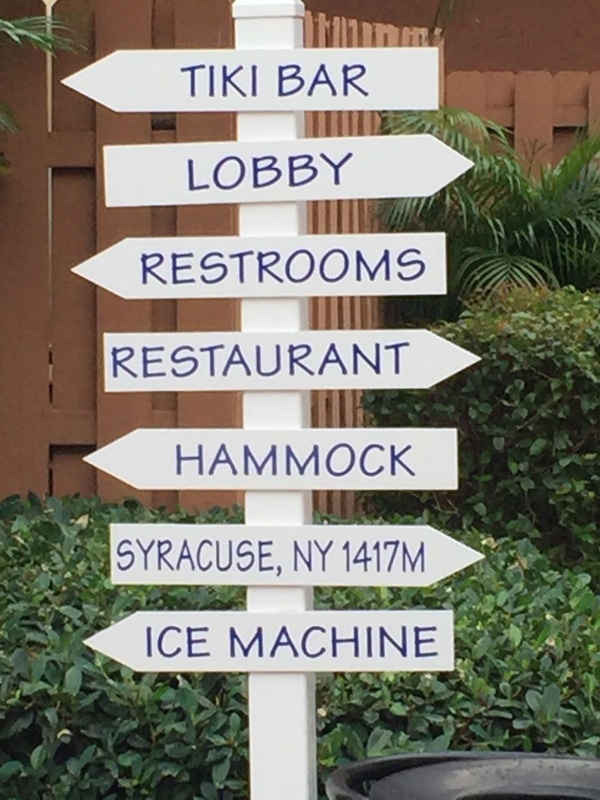 I did enjoy the sign near the entrance of the pool area advertising directions to many places. Why was Syracuse included? Who knows, but, hey, they are in the Final Four! 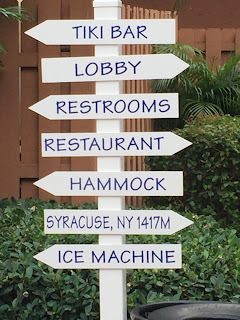 Note--the hammock is big and always busy! Today promises to be another great day!